Ember is just a flickering spark slowly dying out in the wind; the good ideas put into the game are buried under questionable and derivative design choices. 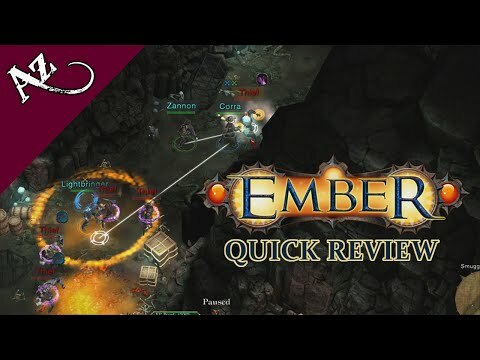 In the end, Ember is a good RPG that caters more to genre beginners than veterans. The trimming of the traits and the abolishment of classes makes it easier for some players to concentrate on the gameplay instead of character and party micromanagement. That's not necessarily a bad thing, as everything from the gameplay to the story is rather solid despite not really doing anything to stand out from the crowd. Some will argue that making more PC-specific changes, such as familiar mouse controls and more graphical options, would've made the game better, but for the most part, it remains a solid game at a good price. As long as you aren't expecting this to be the next great RPG masterpiece, fans who aren't too deep into the genre should give Ember a shot. Ember is a fun little game, which sits nicely on mobile to help while away long commutes without pop-ups asking for you to spend money on in-app purchases every few minutes. 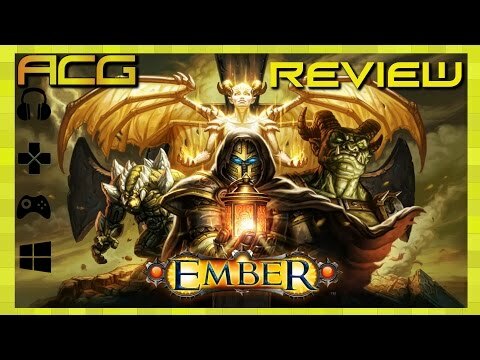 Overall, Ember is a very solid RPG game indeed. It has solid story, solid gameplay, and it looks alright as well. It over 30 hours of gameplay, over 70 diverse quest, which can be completed in more than one way and best of all, it’s only $9.99. It doesn’t exceed in anything, but it's all through a very solid game. Ember was a decent game packing a great amount of campaign time to it though there isn't much to do afterwards and the experience wasn't entirely that compelling.